The other day I had an exchange with a student that left me in a quandary of a sort that I didn’t really expect to still have over a decade into my teaching career. It was a sort of fundamental question that I thought I had settled in my mind some time ago, but recent developments in the field and corresponding evolutions in my thinking have me rethinking some of those questions. A student directly challenged me on a grammar point. This happens. I’ve dealt with this kind of challenge many times, and at this point I’m pretty comfortable addressing them. I check my sources and confirm that I’m not mistaken, I more fully elaborate upon the topic, give more examples, and get into some exceptions and possible confounding issues that could be tripping students up. This can end up taking more class time than I’d prefer to spend on explicit grammar talk, but I’ve found that “winning over” this kind of student can be the best way to head off future disruptions to the class (your mileage may vary, of course). I went to France to learn English. I went to France for learning English. I have taught this plenty of times before. I generally stop short of saying that for learning is “wrong.” It’s an interesting grammar point to ponder, with a lot of similar structures that can confound students’ understanding. For instance, in many of the cases where for [noun] is correct, for [gerund] is also correct. Maybe five years ago, I wouldn’t have thought twice about saying this, but I immediately felt unsatisfied with my own words, like a parent who’d been driven to the point of a because-I-said-so. In the time since I first cut my teacher teeth, there are two major changes in my thinking that led me to question my reaction. The first is the push for NNS equality, the overall de-centering of the native speaker as model. I’ve written a little about this, and TEFL Equity has lots of rich resources on the topic. The second, related issue is my growing awareness of English as a lingua franca as an English in its own right. This one in particular had me thinking, because there are certain language features that are considered errors in, say, American English, but that I believe may be acceptable in ELF. Advices and informations, for instance, dropping –s in the third person singular, etc. These “errors” don’t inhibit communication in any way, so students are unlikely to get the feedback they need to correct them, and so they persist even in advanced students. They are common across L1s. And they honestly just make sense; I can totally get behind an English that incorporates these “fixes.” I also believe that I went to France for learning English is such a construction. So I turned to #elt Twitter in search of some feedback, ways to avoid falling back on because-a-native-speaker reasoning. I got a range of helpful responses, but I’ll draw attention to two in particular. What on earth is wrong with "because native speakers" reasoning? It's the only reason really. The "rules" are only an attempt to codify it. He is, of course, absolutely right, at a certain level. Language is all convention. This language feature is the way it is simply because a group of us (though I’d probably change native speakers to users) have agreed on this arbitrary way for it to be. But while this may be a factually true statement, I don’t know how much it ought to factor into our explanations as teachers. Pretty much any why question in English could be answered with a because-native-speakers. The other response I’d like to talk about was from one @michaelegriffin, the potentate of this fine weblog. I was thinking about examples from corpora but that sort of falls into the same trap, right? I like this idea, and do it from time to time, but initially thought that it does indeed fall into the same trap: what is corpus data but because-native-speakers quantified? For some reason, though, this seemed a more satisfying route to take than my original response. So I reflected on my words a bit more to see why that might be the case, and I noticed something. My actual words were because a native speaker wouldn’t, rather than because native speakers don’t. This is a subtle but perhaps crucial distinction. The former posits some inscrutable sense inside the mind of a native speaker that is nothing short of magical. What is a learner meant to do with this knowledge? If a learner is not a native speaker, then how are they to know what a native speaker would or would not do? But the latter is different. Whereas what a native speaker would do is a mystery consigned to the hypothetical, what native speakers (plural) do is a matter of fact. Better yet, it is a matter of very well documented fact, quantified, digitally recorded, coded, and cross-referenced for precisely the purpose of making patterns like this visible. Because this is what we do is accessible. It gives learners a resource and a course of action in the future. It’s more reflective of current perspectives on how language actually works: patterns of use that emerge from communities of users. So, where does this leave us? This is really just an record of an intellectual itch and how I managed to scratch it. I hesitate to make the jump from these are my reflections to here is a practical takeaway. I’ve seen folks (again on #elt Twitter) call into question recently whether reflective practice is a worthwhile endeavor, whether it makes any difference. I don’t have a definitive answer to that, but something in my gut tells me that there is value in following these trains of thought, having these conversations, putting our reflections into words, and—I hope—reading them. 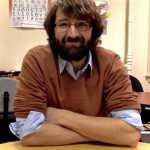 Author’s Biography: Rob Sheppard is a graduate of The New School’s MA TESOL program, founder of Ginseng English, and co-chair of the Adult Education Interest Section at TESOL International.